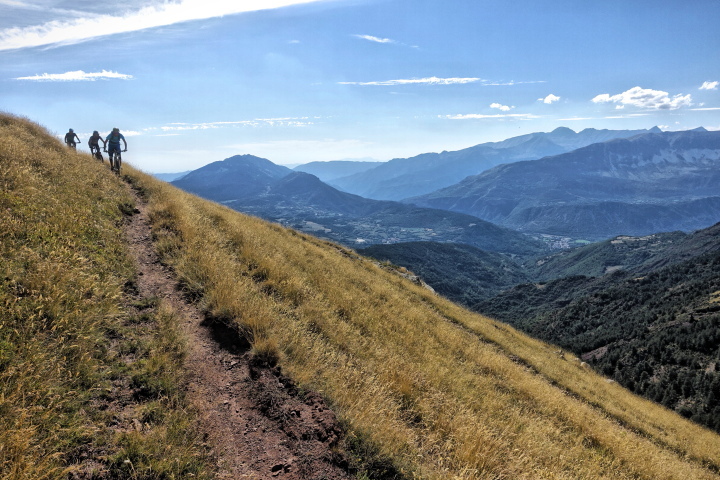 If the thought of working up a sweat leaves you cold, if the idea of a lift to the top of a long, sublime singletrack descent rocks your world then read on! 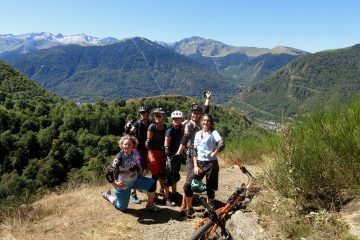 The huge attraction of the Spanish Pyrenees is the exceptionally high ratio of singletrack to hardpack that you’ll experience on any mountain biking holiday. 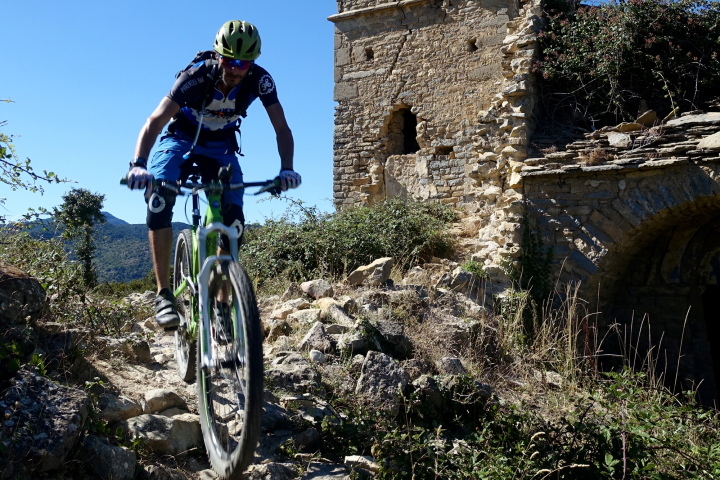 What’s more, the quality and variety of the singletrack descents is unrivalled. 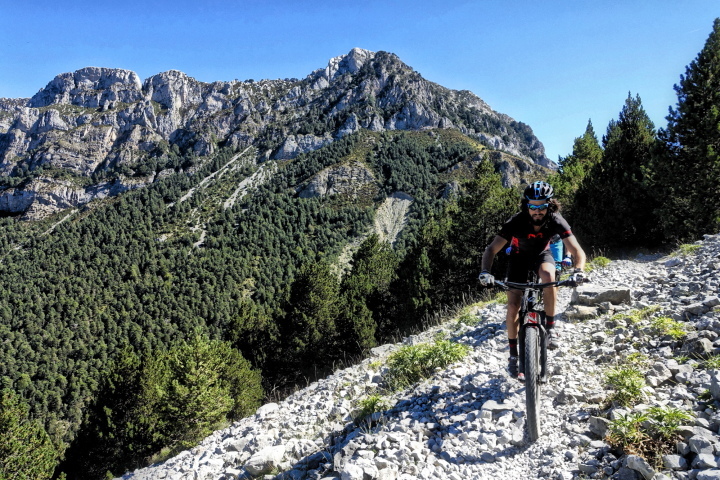 The tracks or backroads in the area enable uplifts to the top of just about every big epic singletrack descent making this a paradise for the enduro rider. 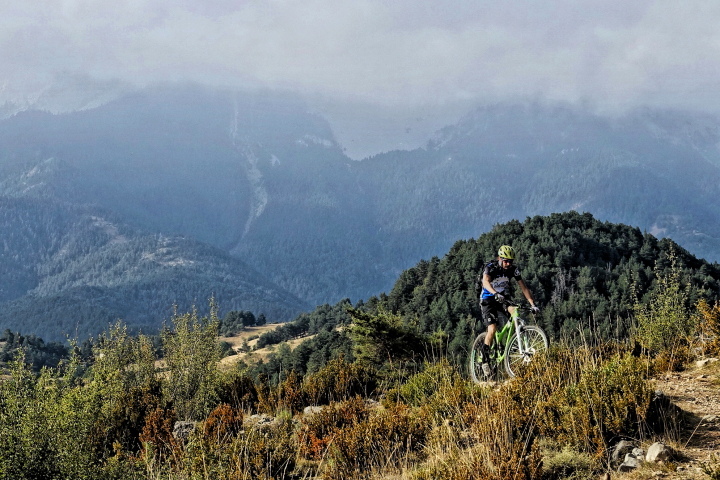 The mountain biking scene in the central Spanish Pyrenees is still relatively undeveloped. Unlike in bigger, better known mountain ranges, you won’t be fighting with other mountain bikers for your line on these trails. 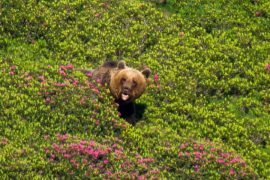 If you’re after a real sense of adventure and of exploration with breathtaking views, then this area has to be on your bucketlist. 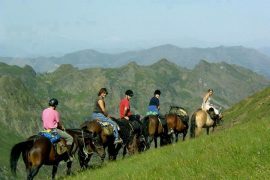 As for the riding, it’s hugely varied. 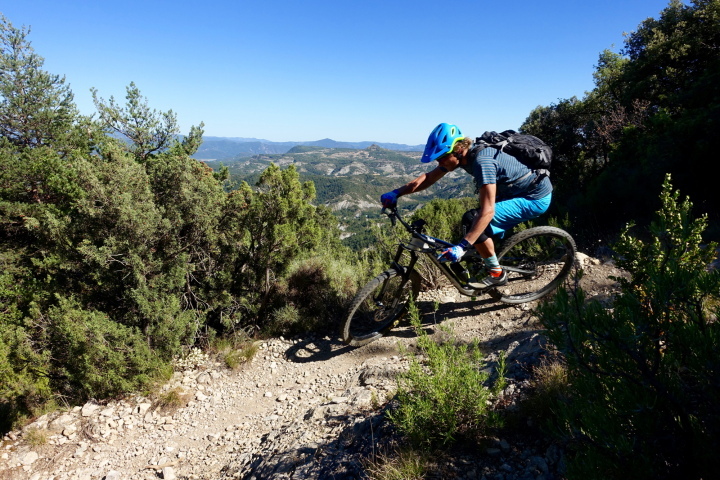 Steep and technical in parts, fast and flowy in others, with switchbacks, wooded, rooty sections, rock gardens as well as riding through expansive alpine pastures. Just wow! Add into the mix charming 500 year old villages where time appears to have stood still, churches that date back over 1000 years and traditional buildings full of historic charm and character …. 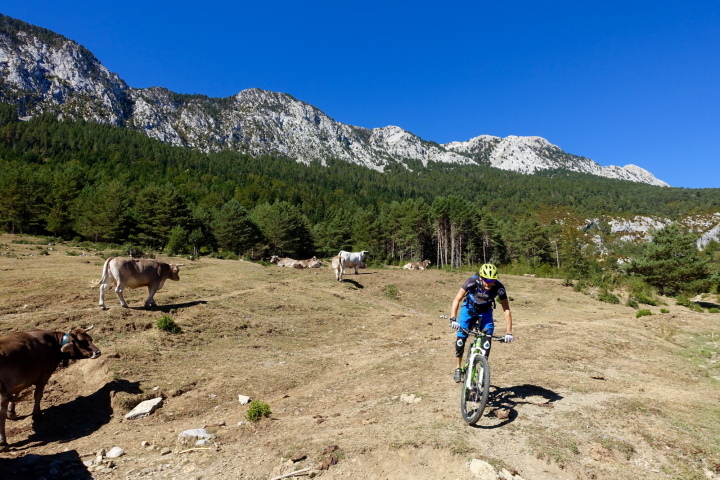 well, you have the makings of an unforgettable enduro mountain biking trip! 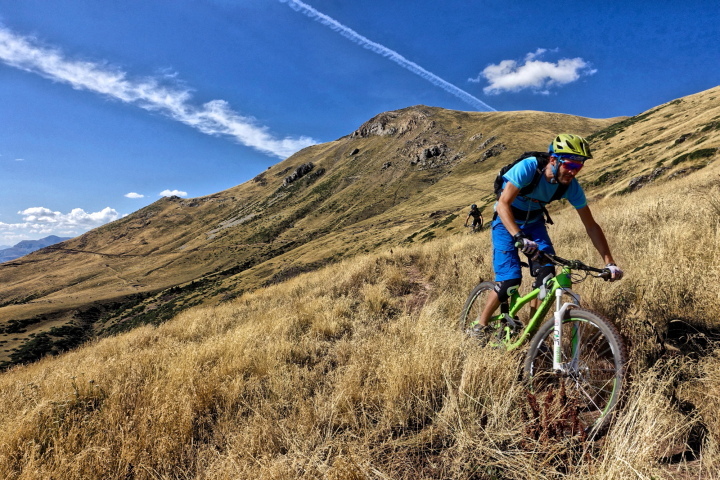 You’ll spend 2 days, Sunday and Monday enjoying the uplifts and riding the epic singletrack of this remarkable and unspoilt mountain environment. One of the descents is likely to be the Rabaltueras descent on which you’ll descend over 1000m over the course of just 9kms! Oh, and you can count on a measly 20m of ascent! It’s a ripping descent on which you’ll experience every kind of riding imaginable. 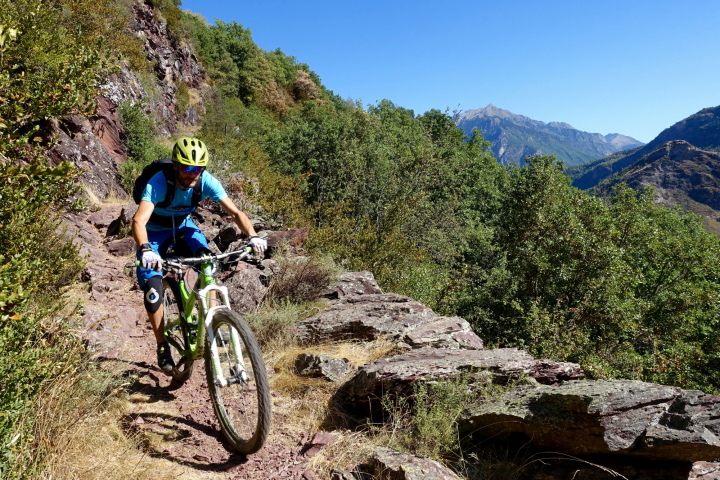 Grassy alpine singletrack, dusty back to back switchbacks, a smooth woodland trail, rock gardens and drops! 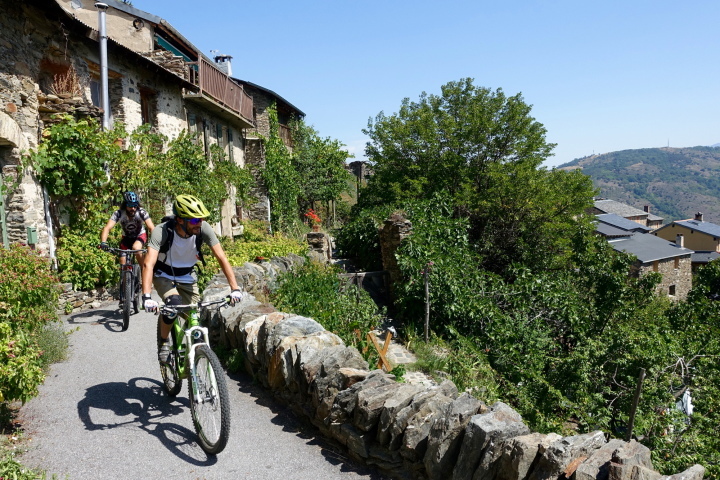 You’ll have the chance to visit Romanesque heritage and medieval villages on route. 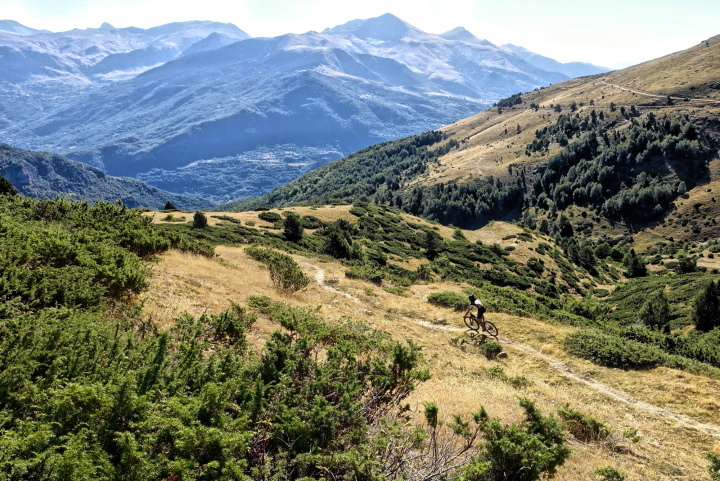 Book a late flight back from Barcelona on the Saturday (the transfer takes 1h45) and you may be able to enjoy a final ride around Cerdanya before packing up the bike and starting your journey home.